Why Choose WC Roddy DDS, PLLC? Are you ready to have the smile you’ve always wanted? Whether you have issues that are causing you pain or you want to improve the look of your smile, we have the treatments that will work best for you. Dental care is important both for your physical wellbeing and for having a healthy self-image. Why not come to a place where you not only get top-quality care, but you are also treated with the courtesy and respect you deserve? At our office you get it all. We listen to you, and we care about your dental issues. In addition, we do our utmost to make sure that you have a positive experience. If you’re looking for excellent service and a people-friendly approach, then you’ve come to the right place. At WC Roddy DDS, PLLC, our ultimate goal is to serve you and make your experience a pleasant one, and our team will stop at nothing to ensure that you come away more than satisfied. We value you. Dr. Roddy has redesigned implant dentistry to be centered around the patient. Our implants are affordable, painless, quick, and definitely beautiful. 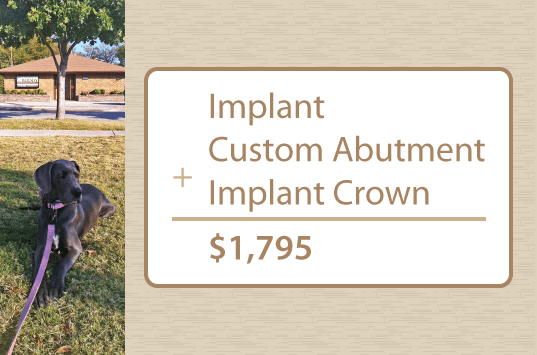 We are so proud of our everyday price that includes a dental implant, a custom abutment, and an implant crown for $1,795. We value your time. WC Roddy DDS, PLLC uses CAD/CAM technology to provide the best patient experience and restoration. There are many advantages to CEREC crowns. A camera is used to image the mouth rather than using sometimes unpleasant impression material. Then, the dental prothesis is modeled and milled in-house, and it is ready to be inserted. The patient is saved from having to return for a follow-up appointment and having to use a bothersome temporary appliance. We value your health. 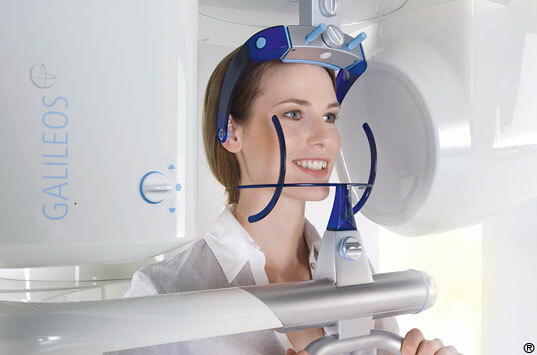 WC Roddy DDS, PLLC uses 3D imaging to provide the highest image quality with the lowest effective dose according to ICRP 2007, Ludlow. The third dimension makes all the difference when it comes to imaging, diagnosing, and treatment. The integrated software allows Dr. Roddy to plan the best implant and restoration for both function and esthetics. Wonderful high-tech office, love the convenience of all treatment being done at one location, unbeatable prices! I would recommend Dr. Roddy’s office to any and everyone I know! Wonderful High Tech Office, Unbeatable Prices Judy A.
I thought the visits were exceptional as well as the Doctor-Patient communication and understanding. Plus the staff’s involvement in the process was truly unique. As always, outstanding care by the most professional team on the planet! I’ve practiced dentistry myself for 44 years, so I recognize exceptional talent when I see it. Dr Roddy and his entire team function at the highest levels of technology and skill while consistently demonstrating genuine concern for all their patients, even old dentists like me. My mouth needed reconstruction after an accident and this involved all 28 teeth and several implants, and a year and a half. I’ve had 5 years since “overhaul “of chewing comfort, as well as frequent compliments on my teeth, and I’ve continued to drive 580 miles round trip for cleanings and check ups 2-3 times a year and will continue to do so as long as I’m able. Dr Roddy and his talented team is my go to place for exceptional care and I highly recommend them to anyone who values exceptional care at a very fair fee. Exceptional Care at a Very Fair Fee Michael B.
Dr Roddy and his team are absolutely the best I have seen in my 50 years of going to the dentist. Absolutely the Best Dan F.
We want you to look forward to coming here, not only because you know that you'll get top-notch treatment but also because you'll be treated right. In addition to treatment, we take the time to educate you on proper oral care at home, and we work with you to ensure that you can fit our treatments into your budget. Our office is located in the heart of the Fort Worth's Medical District. You can easily stop in for a quick and affordable implant over your lunch break and grab a delicious meal at one of the highly rated restaurants around the corner. © 2019 WC Roddy DDS, PLLC. All Rights Reserved.